Verwendungszweck Rabbit IgG polyclonal antibody for Leukemia inhibitory factor(LIF) detection. Tested with WB in Mouse,Rat. Immunogen A synthetic peptide corresponding to a sequence at the C-terminus of mouse LIF(175-194aa DKEAFQRKKLGCQLLGTYKQ), identical to the related rat sequence. Kreuzreaktivität (Details) No cross reactivity with other proteins. 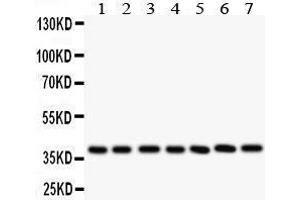 Produktmerkmale Rabbit IgG polyclonal antibody for Leukemia inhibitory factor(LIF) detection. Tested with WB in Mouse,Rat. Hintergrund LIF is a pleiotropic cytokine produced at the maternal-fetal interface which has been shown to play an essential role in implantation in mice. LIF is produced in high amounts by the human endometrium and the trophoblast itself, and LIF receptors are present on cytotrophoblast cells. LIF could, thus, play a role in modulating HLA-G production and immune tolerance at the maternal-fetal interface. The gene maps to 22q11-q12.2, between the Philadelphia translocation BCR gene and the breakpoint of the translocation in cell line GM2324 at 22q12.2. Notes: Tested Species: Species with positive results. Predicted Species: Species predicted to be fit for the product based on sequence similarities. Antibody can be supported by chemiluminescence kit ABIN921124 in WB. 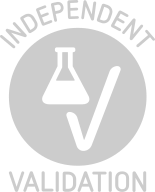 Rekonstitution Add 0.2 mL of distilled water will yield a concentration of 500 μg/mL. Buffer Each vial contains 5 mg BSA, 0.9 mg NaCl, 0.2 mg Na2HPO4, 0.05 mg Thimerosal, 0.05 mg Sodium azide. Vorsichtsmaßnahmen This product contains Sodium azide and Thimerosal (Merthiolate): POISONOUS AND HAZARDOUS SUBSTANCES which should be handled by trained staff only. Informationen zur Lagerung At -20°C for one year. After reconstitution, at 4°C for one month. Produkt verwendet in: Zhang, Liu, Liu, Zhou, Song, Cao, An: "miR-182 aids in receptive endometrium development in dairy goats by down-regulating PTN expression." in: PLoS ONE, Vol. 12, Issue 7, pp. e0179783, 2017 (PubMed). Dong, Sui, Huang, Wang, Hu, Xiong, Wang, Zhang: "MicroRNA-223-3p suppresses leukemia inhibitory factor expression and pinopodes formation during embryo implantation in mice." in: American journal of translational research, Vol. 8, Issue 2, pp. 1155-63, 2016 (PubMed). Gui, Xiong, Yang, Li, Huang: "Effects of acupuncture on LIF and IL-12 in rats of implantation failure." in: American journal of reproductive immunology (New York, N.Y. : 1989), Vol. 67, Issue 5, pp. 383-90, 2012 (PubMed). Xu, Sun, Li, Wu, Zhang, Feng: "Pinopodes, leukemia inhibitory factor, integrin-?3, and mucin-1 expression in the peri-implantation endometrium of women with unexplained recurrent pregnancy loss." in: Fertility and sterility, Vol. 98, Issue 2, pp. 389-95, 2012 (PubMed). Li, Xu, Chen, Sun: "Effects of hydrosalpinx on pinopodes, leukaemia inhibitory factor, integrin beta3 and MUC1 expression in the peri-implantation endometrium." in: European journal of obstetrics, gynecology, and reproductive biology, Vol. 151, Issue 2, pp. 171-5, 2010 (PubMed). Pei, Yu, Shi, Jia: "The effects of mifepristone on the expressions of osteopontin, interleukin-6 and leukemia inhibitory factor in the villi of early pregnant women." in: Contraception, Vol. 82, Issue 4, pp. 379-84, 2010 (PubMed). Hu, Feng, Tang, Zhu, Lin, Yu: "LIF upregulates expression of NK-1R in NHBE cells." in: Mediators of inflammation, Vol. 2006, Issue 5, pp. 84829, 2007 (PubMed).